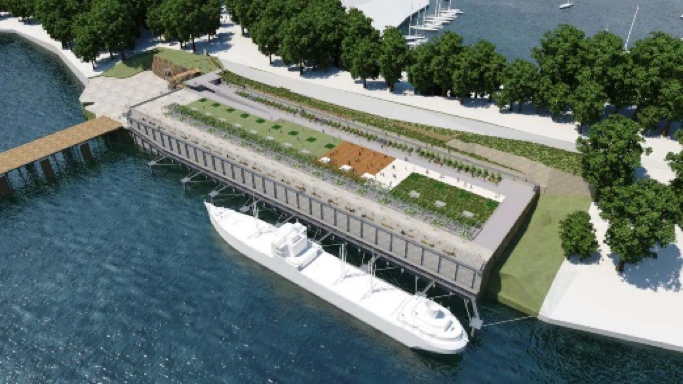 North Sydney Council is transforming a former industrial site in Waverton to create a unique public facility – the Coal Loader Centre for Sustainability. A key innovation is inclusion of a ‘Living Lab’, an open-innovation ecosystem which facilitates community understanding of, and engagement with sustainability and science; a place where research and outcomes can be tested, studied, taught, developed and translated into real-life settings. 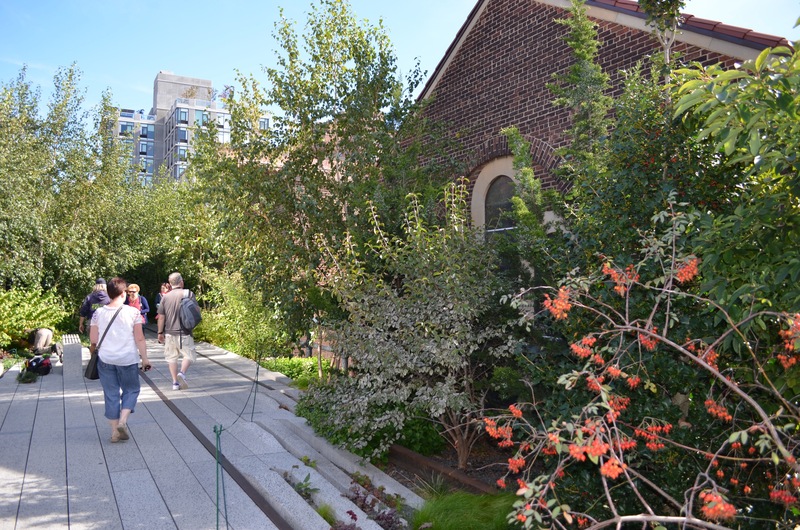 The redevelopment of the Coal Loader Platform will become one of Sydney’s largest publicly accessible green roof spaces developed though National Green Infrastructure Network (NGIN) linkages. A total of 10,000m2 roof space will be transformed into a green roof to provide a demonstration site for urban agriculture and biodiversity enhancement and will serve as a valuable community space for recreation, entertainment and teaching. The Living Lab will create a place where project-based partnerships, practical programmes and academic activities (student learning & teaching, courses and academic research) will connect with non-academic partners, including North Sydney Council (NSC), primary and secondary schools and community groups, through on-site activities and an online portal. With urbanisation changing the shape and composition of our cities, major pressure on biodiversity, water resources, human health and wellbeing is increasing. Green spaces decrease urban heat island effect, filter storm water, remove air pollution, increase productivity, are good for mental and emotional wellbeing and much more. Consequently, the 202020Vision encompasses the mission to create 20% more green space in Australian urban areas by 2020. As this goal gains momentum, big questions arise about how to choose the right plants for the right spot in the right location under both current and future climates. 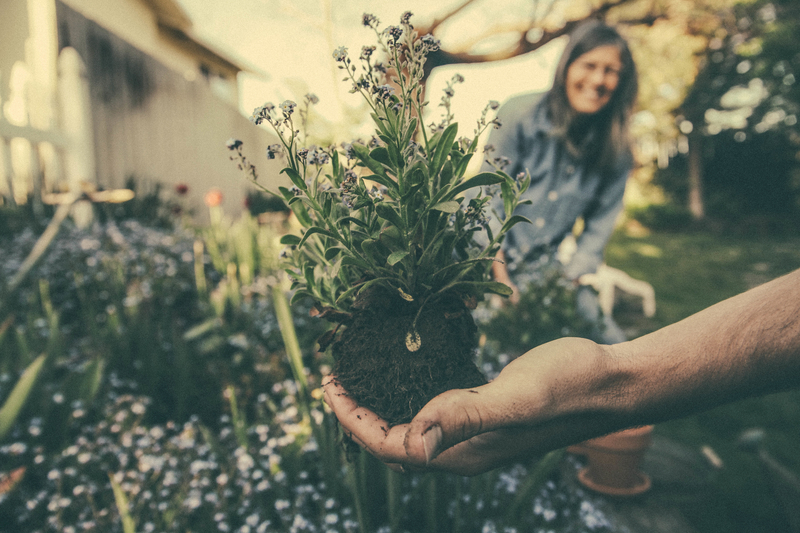 Co-funded through Horticulture Innovation Australia’s Green Cities Fund, the project will develop a national public database to identify climate-change resilient urban plants that will provide health, wellbeing and liveability outcomes now and in the future. The extensive research project is expected to be completed in 2021. A consortium of leading environmental and horticultural researchers from Macquarie University, Western Sydney University and the NSW Office of Environment and Heritage will be conducting research that includes test plantings under some of the hottest and driest conditions in Australia to make sure that the information you get from the database is backed by real-world research. Research will be done alongside growers, practitioners and industry and emphasis will be given to the capacity for the horticultural industry to deliver these species. Transitioning to a future shaped by a changing climate requires engagement at the local, regional, national and international levels. It's not just about urban communities, it's about suburban and rural communities as well. And it's also about connecting people to place and connecting local to global. 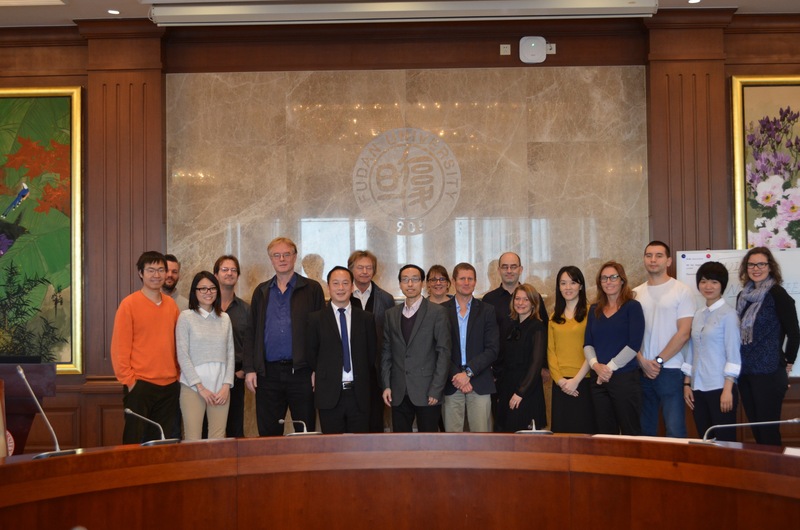 With support of the German Academic Exchange Service (DAAD), the Trilateral Partnership between Macquarie University, University of Hamburg (Germany) and Fudan University (Shanghai, China) was established to create stronger international connections and advance innovative research and teaching through interdisciplinary cooperation. 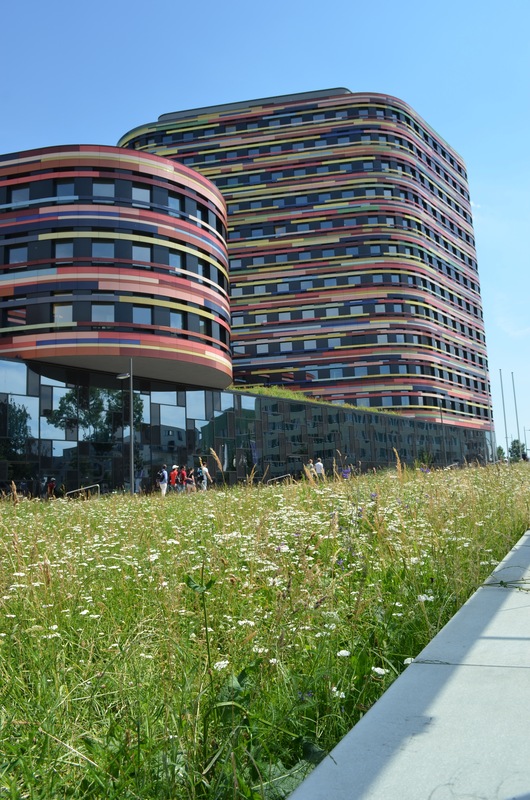 One of the Trilateral Partnership's projects is focused on researching sustainable energy landscapes and urban transformation pathways that lead to resilient cities. 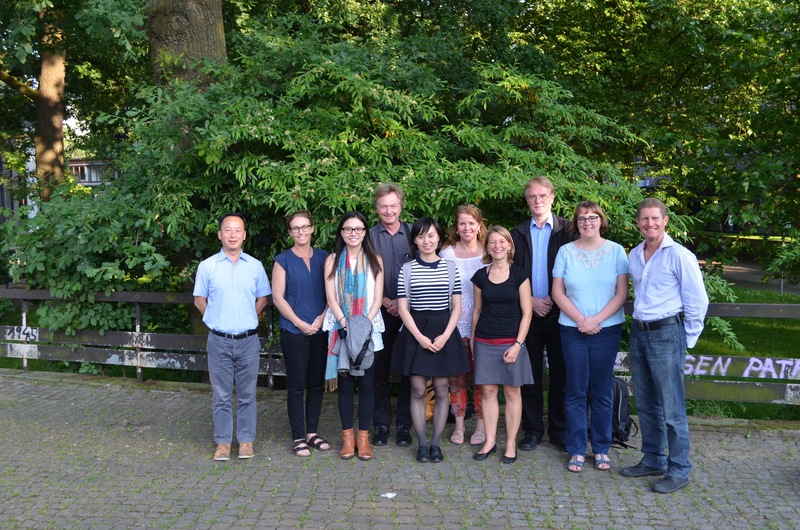 This project contributes to evidence-based policy for assessing the efficacy of local and regional planning instruments on urban climate risks in Hamburg, Shanghai and Sydney. The project will explore mitigation and adaptation of rural-urban systems in the areas of climate change, health, migration, and water and energy systems. Research will focus on developing and integrating sustainable urban transformation, particularly renewable energy and low-carbon pathways, and examining environmental and health risks associated with climate change. Strengthens research collaborations and networking opportunities at a personal and an institutional level and fosters a high level of cooperation between researchers in their respective fields. Detailed information can be found in Opportunities and Collaborations. Access to nature promotes health through reduction in stress, depression, pain, fatigue, aggression, impulsivity; and improvement in immune function, sleep cycles, cognition, concentration, emotional resilience, empathy, vitality, relaxation, mood, and satisfaction (Cooper Marcus & Sachs, 2014; Kuo, 2015). A ‘healing garden’ is the umbrella term for a landscape designed for a specific population and place with an intended positive health outcome informed by research. A ‘sensory garden’ is an environment designed with the purpose of stimulating the senses of sight, smell, touch, taste and sound which can support dementia and Alzheimer patients with difficulties of distributing experiences and retrieving memories by assisting memory retention and social interaction. This project aims to evaluate the benefit of two new sensory gardens purpose built for individuals with dementia and their carers. These gardens are being built by Alzheimer’s Australia, with one at their NSW headquarters (Macquarie Hospital), and the other in Port Macquarie. The project will evaluate the impact on mood, agitation and wellbeing in individuals with dementia and their carers before and after a visit to the gardens. It is hypothesised that visits to the gardens will result in short-term increased positive mood and wellbeing and reduced agitation in individuals with dementia, as well as similar benefits for the carers. In addition, a second project will evaluate the effectiveness of three home-based interventions to enhance wellbeing outcomes after visits to these gardens. These interventions will include: looking daily at photographs of gardens, looking at photos of gardens as well as spending time in their own garden or other gardens and/or interacting with plants in some way, as well as a control condition. The wellbeing outcomes obtained from visiting the Sensory Gardens will be enhanced by interventions to increase interaction with gardens in their own home. Interventions that maximise sensory experiences will have a greater benefit than less sensory interventions. 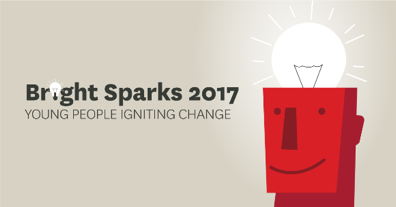 Bright Sparks 2017: Igniting Learning and Teaching across Secondary and Tertiary Education is about capturing the voices of young people regarding positive solutions for local climate change. This project was developed by Macquarie Law School (MLS) Centre for Environmental Law (CEL), the Future Students team and a multi-disciplinary team of experts across Macquarie University and is led by Dr Kirsty Davies (MQ Law School) and Andrew Hewett (Future Students). One of the purposes of this project is to promote a transformative learning experience, while focusing on empowering young people and listening to their views about future pathways. It also involves adding value to the NSW High School curriculum, while also giving students the opportunity to be directly connected with university as a welcoming place of learning. In collaboration with Ku-ring-gai Council and with the support of MQ academic experts, students have been exploring ways in which they can become engaged in positive solutions and raise awareness on the local impacts of climate change. Students have been involved in research regarding future legal, governance and policy change to suggest responses to the challenges of climate change within their local government area. The five schools that are participating in this project are Brigidine College, Chatswood High School, Carlingford High School, Masada College and Normanhurst Boys High School. They each have their own set of topics to channel their research and develop their case. The school’s themes have been aligned with the sustainable development goals (SDG) of their choice and they will suggest ideas on how they want their local environment to look like by 2030. Increased urbanisation entails negative impacts on biodiversity, water resources, human health and well-being. Based on the current trajectory of urban intensification and expansion there will be further losses on the number and diversity of species and habitats in cities. Accordingly, the NSW Environmental Trust has commissioned a research project to gain an improved knowledge and understanding of the gaps and opportunities that exist to improve urban ecology outcomes in the Greater Sydney Region, including Newcastle and Wollongong. The UERI project was undertaken by a consortium of researchers from Macquarie University, UNSW, University of Sydney, UTS and CSIRO and is focused on three themes: built environment, urban biodiversity and ecology, and legal and planning policy. The project articulated and defined concepts of urban ecology for inclusion in a whole-of-government and industry approach to urban planning, renewal and development, influence a broad policy and legislative framework that encourages ongoing investment and action in enhancing and protecting urban ecology and identify direct opportunities for Environmental Trust investment. The Urban Ecology project thereby increased knowledge, awareness and capacity of key stakeholders, based on their key values and drivers, including industry, landholders, business, government and community, to become leaders in addressing urban ecology values within the natural and built environments.